This is the first movie review I have ever done, so bear with me if it turns out like a total trainwreck. The way I'm thinking that I'm going to review movies is this: characters (and their growth), plot (pros and cons), content, quotes, and overall favorite character. The movie I am going to try to review today is . . . So, in my opinion, this is one of Disney's amazing movies that doesn't get enough attention. My siblings and I stumbled upon it one day when I was babysitting them, and we loved it. In a nutshell, it's a feel good, light on the romance, typical Disney film. It has a lot of those "finding out who you truly are" moments that make Disney movies well known. Now, I will warn you, that there will be spoilers. Lots of spoilers. But I will (try to) give you WARNING. Finally, we can move onto the review. Christopher Wilde: A lot of major character growth here. In the beginning, he is your "typical teenage celebrity". Meaning: He has a sort of a "warped sense of reality". He doesn't really get what "normal" people have to live through. 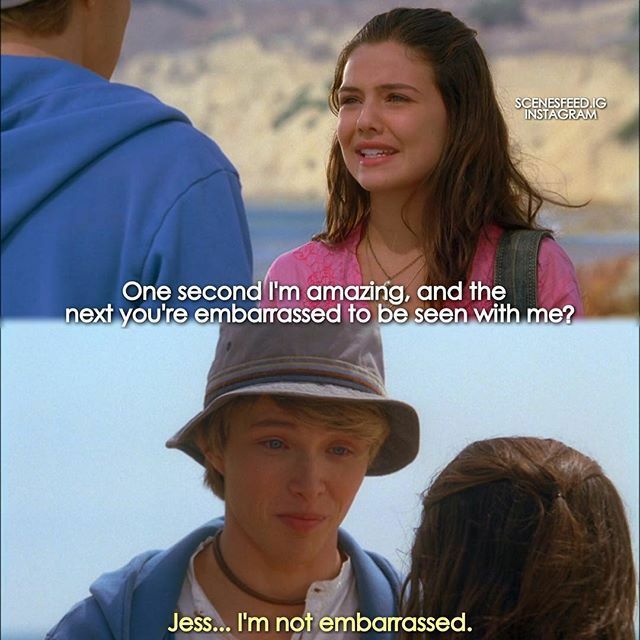 Christopher thinks that everyone likes him, and is shocked when Jessica tells him that she's not "his fan". But as the movie progresses, you see that he doesn't want to disappoint anyone. And, at the very end *SPOILER ALERT* he gives up his movie deal for Jessica *END OF SPOILER* So yeah, he realizes that he has to make his own decisions because it's his life. As for his looks (yeah, that's important) HOLY COW. 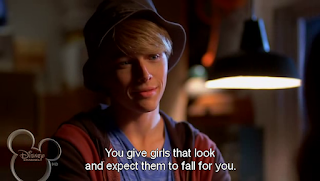 STERLING KNIGHT HAS THE MOST BEAUTIFUL BLUE EYES EVER. Jessica Olsen: Pretty much the opposite of Christopher. Just like he thinks he knows everything about "normal" people but he actually doesn't, Jessica thinks that she knows exactly how a celebrity life is, and Christopher shows her what it actually is. Not a ton of character growth, but still a lot. Plus, Danielle Campbell is GORGEOUS!! Stubby: Apart from giving some heart felt advice and eating food, Stubby isn't in the movie that often. Jessica's Grandma: She's Mrs. Olsen's mom but I never figured out her name . . . But she comforted Jessica after CHRISTOPHER did something. I WILL NOT SPOIL IT. Aaaaand, there are no pictures of her. Harold: He kinda felt like he was the adorable teddy bear of the movie. And I could never figure out if he was Grandma's boyfriend or just a friend . . .
Mr. and Mrs. Olsen: They were good parents that worried about their children. And when they get back from their trip, they are genuinely worried about Jessica. Mr. and Mrs. Wilde: Now these peoples, like Christopher said, since they were his managers, they cared more about the celebrity part of him. Libby Lam: Soooo....she was just annoying in the beginning but she came around (sorta) at the end. Alan I-Forgot-His-Last-Name: If there was a 'villain' to this story, it would be Alan. I don't even have to explain why there isn't one of him. AJ: She's probably in the movie for only 10 minutes.She's mean and quite ugly. 'Nuff said. The Disney Channel movie, StarStruck, follows Jessica Olson (Danielle Campbell) on her family trip to Los Angeles. 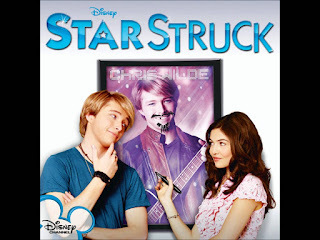 Jessica accompanies her sister on a series of excursions to find the superstar, Christopher Wilde (Sterling Knight). The seemingly ridiculous attempts to find her sister's crush takes an unexpected turn when Jessica meets Christopher and learns there is so much more to the superstar than what meets the eye. As I told you, it's a Disney movie. It is reeeally funny. Jessica is so sarcastic (like somebody else I know, *coughcough*), and Christopher and hers (is that even proper grammar?) banter is really funny. It's pretty fast paced, so it doesn't drag a lot. Jessica's facial expressions are ridiculous. THE MUSIC. Yes, Christopher is a singer, so obviously there have to be some songs. HERO. FINISH READING THIS AND THEN GO LISTEN TO IT. ACTUALLY. I'LL JUST PUT IT AT THE END OF THIS POST. It's a Disney movie, it has a few "Cheesy" moments that make you roll your eyes and say, "Seriously Disney? How stereotypical of you Disney!" Sorry for the bad quality. This is one of the times they were interrupted. But that is basically all the cons. As said before (three times) it's a Disney movie. "But Disney has been getting cuckoo lately Ceci" you may be saying. Yes. Yes, it has. But let me rephrase myself. It's a Disney movie made in 2010. That's when Disney Movies were still fairly enjoyable. "Jessica: You don't even know him! Sara: I know everything about him! I'm a member of his original fan club!" Christopher: Since when do you want to party with my parents? Stubby: The caterers are from Argentina. There's going to be steak - for dessert! "Jessica: Just take me home! Christopher: I will! (*takes breath*) I just have to make a teeny tiny stop"
"Christopher: How did you find me? "Jessica: You drive like my grandpa! Christopher: And you look my grandma!" Jessica: You collect your toenails in a pickle jar? Jessica: Yeah, I mean, you are a horrible driver! And that's amazing, especially for a guy who has five cars! Christopher: Oh, no! Not this again!" Isn't it adorable how he calls her Jess?! Stubby: Yeah, me neither. I mean, she cacked all over my shoes." She is really strong and determined to work hard. She also has no problem telling people that they are wrong when they are. EDIT: So, I just realized that I forgot to give StarStruck an overall rating (wow, nice one Ceci). Five Stars, it's a nice, clean, family friendly movie that even teen girls (I am proof that they will like it) will love. Heylo there! I see that you're about to comment, thank you! I have comment moderation on posts older than 6 days only so that I won't miss it, it has happened you know. Join the party on Bloglovin'! Don't have a Google account? Enter your email here and get updates! Share book reviews and ratings with Cecilia, and even join a book club on Goodreads. Cecilia has read 9 books toward her goal of 100 books. Most of the photos in my posts aren't mine (I'll credit myself when I actually take a decent photo). I get most of my pictures from Google Images. I do not, in any way, claim any of these photos.